There are quite a few variations for this penultimate day of the Twelve Days. Ladies dancing, ladies spinning, badgers baiting, lords a-leading, dancers a-dancing, lads a-louping, bulls a-beating. So what about "Twelfth Night, or What You Will" - Shakespeare's play? It is believed to have been written around 1601-02 as a Twelfth Night's entertainment for the close of the Christmas season. The first recorded performance was on 2 February 1602, at Candlemas, the formal end of Christmastide in the year's calendar. A law student, John Manningham, who was studying in the Middle Temple in London, described the performance which took place in the hall of the Middle Temple. The Middle Temple is a place with great architectural history. The western part of "The Temple" was the headquarters of the Knights Templar until they dissolved in 1312. There are many buildings in the four "Inns of Court" that are listed buildings. There has been damage over the centuries - fires, the Great Fire of London, and the Blitz. But the Halls' magnificent double-hammer beam roof remains along with the 29 foot oak High table. Sir Walter Raleigh and Sir Francis Drake have been known to dine in the Hall. The buildings in the Temple itself are still held under the 1608 letters patent of James I. The Middle Temple Hall where our performance took place was constructed between 1562 and 1572, and opened in 1576 by Queen Elizabeth I. It was thought that Shakespeare himself was probably present for the first performance. Our heroine in the play is Viola. 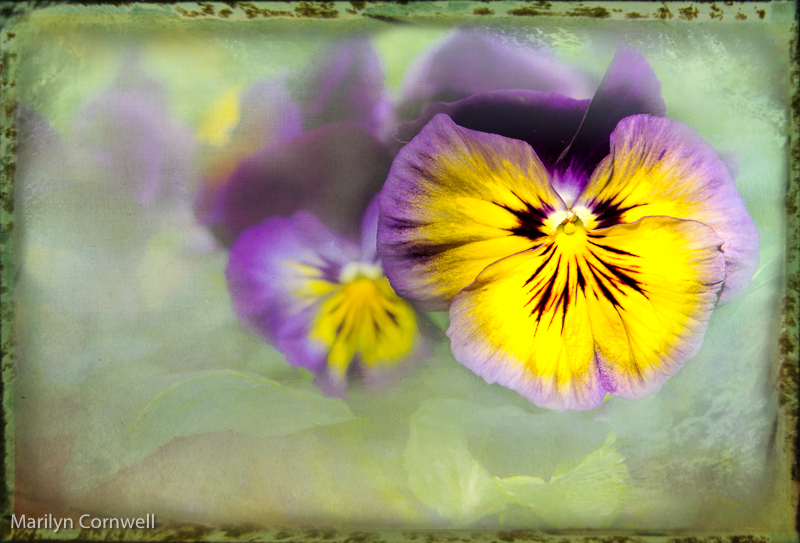 Violas and pansies are flowers that are closely related. I've never considered how they are different. 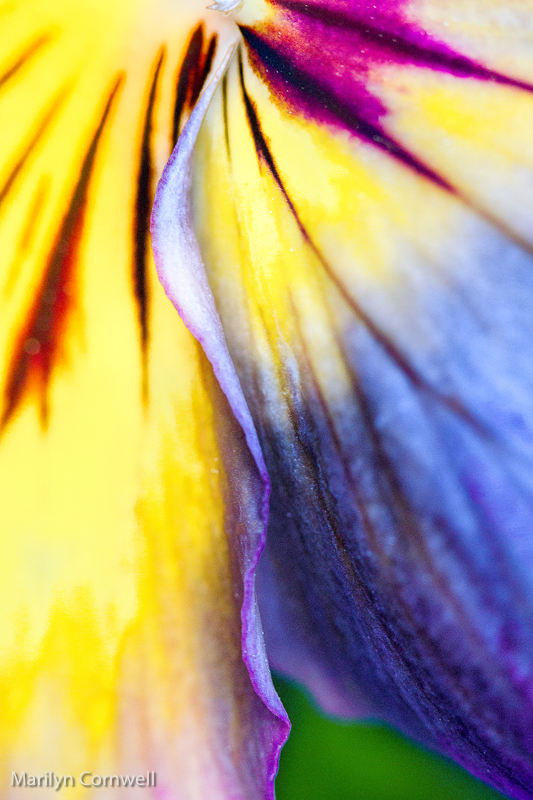 I found this: If the flower has four petals pointing upward and only one pointing downward – you’re looking at a Pansy. 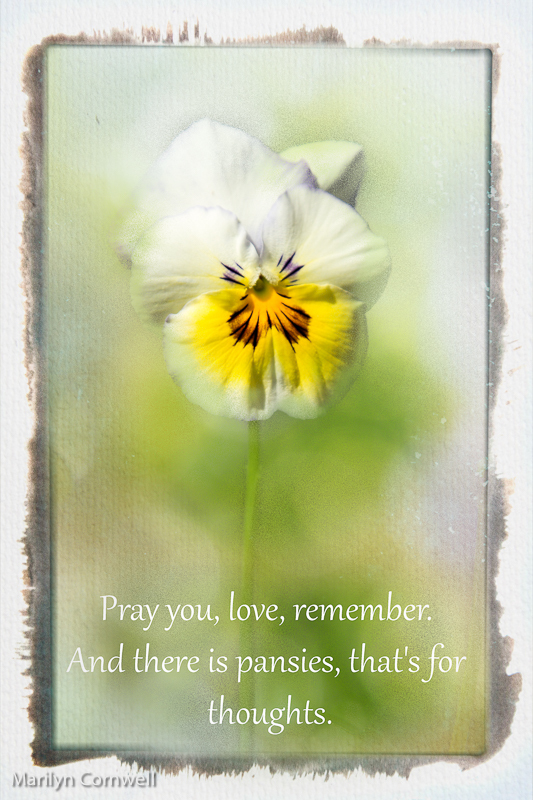 If the flower has two petals pointing upward and three petals pointing downward – you’ve got a Viola. These words, though, come from one of Shakespeare's other plays.